The rectangular elegance, the Jewel Dining Table is the most appropriate piece of furniture to aid your dining essentials. The walnut shade gives it a very rustic yet appealing look while the frame seems quite refreshing with the legs being sleek yet sturdy. 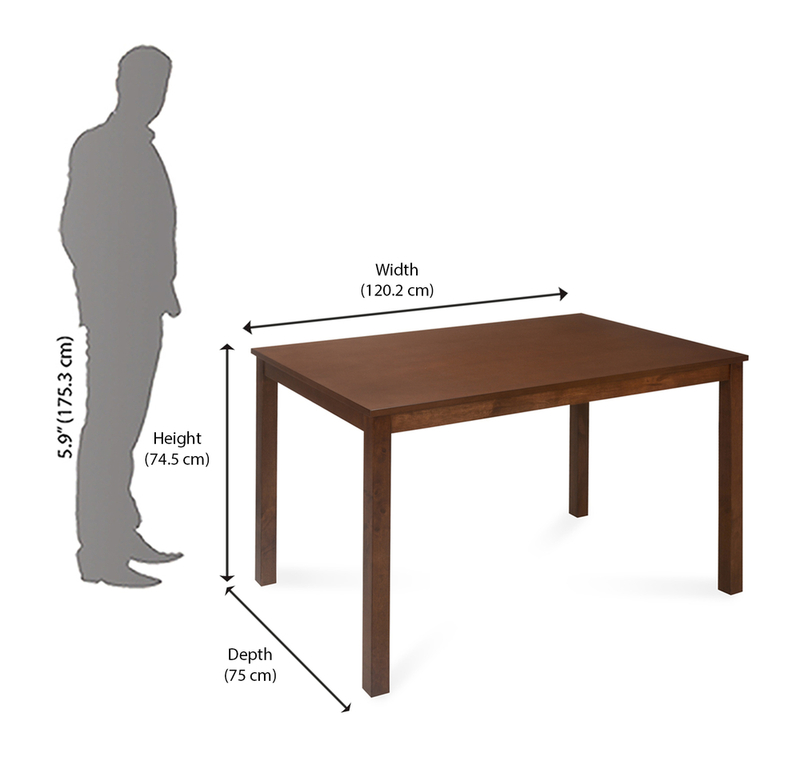 The structure of the table adds on a visually pleasing effect to your living room while the height is just about right to blend well with your eccentric decor. Spread an eye catching sheet on top of it and couple it with a bunch of distinct chairs to make the corner a coveted one.